The game: The original concept for this game came from hackertyper.com, but I applied this aesthetic of fake-coding to a rhythm-based game. 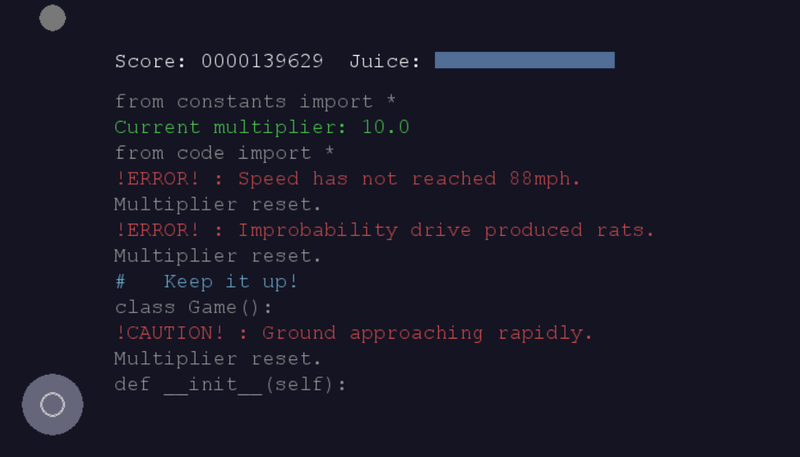 Interestingly enough, the game is printing it's own source code, which you can find on Github - https://github.com/jeremycryan/MusicJam17. The event: This was made solo in about eight hours of effective work for the 2017 Music Game Jam, hosted by Xavier Ekkel. As I normally do primarily graphics work for game jams, I decided to take a new approach and solo a largely graphics-light game and focus on mood and music composition, as well as having a not-buggy game. Install instructions (Windows): Download and unzip. The game is titled ".OpenSource.exe," but if you have trouble running it, you might need to remove the period from the beginning of the name (it's there so it's first alphabetically). Install instructions (Ubuntu/Linux): Requires Python 2, pygame, and numpy. Clone my repository here: https://github.com/jeremycryan/MusicJam17.git, then run 'python main.py' while in that directory. 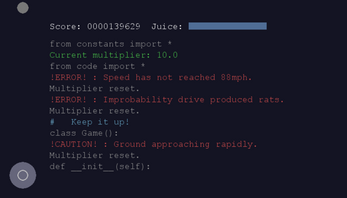 Play instructions: You play as a programmer frantically trying to code their music-based game in under 72 hours. Mash any letters on the keyboard to input code, and press enter to go to a new line. Your "enter" presses should line up with the beat and the falling circles on the left of the screen, but you can't go to a new line unless you have finished typing the current one. Don't run out of juice! I liked the concept, but it's a bit to hard to get the timing right for me. you need a makefile bro.